Gold for GESS! What a spectacular season performance. After winning last year’s Division 3, the 12U boys now repeated the feat a league higher. With last week’s victories over Dulwich (36-15) and GEMS (40-21), and only one game to go, they have already secured back-to-back gold medals. Great job, boys! It was with a great deal of enthusiasm that our 14U girls started the new year. A strong performance against UWC East secured a well-deserved 2-0 win. After losing the first encounter in December, the 11U girls were clearly not willing to give up any points on home ground. 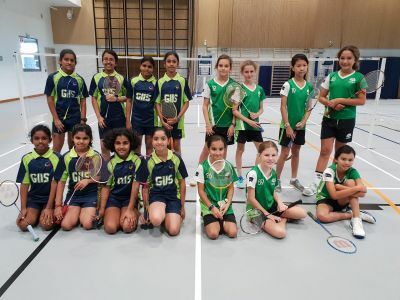 Despite being the underdog against Global Indian School, our GESS team managed to succeed thanks to exemplary fighting spirit (3-2). 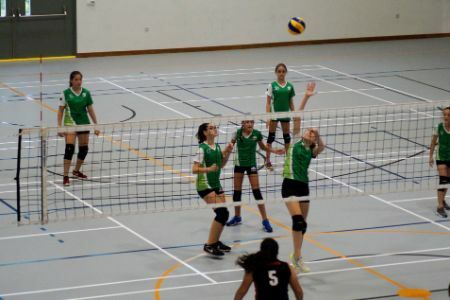 Our 14U girls continued where they left off in 2018; a 4-1 win over UWC East keeps them at the top of the league. The boys, in the meantime, lost a hard-fought match-up against Dulwich. 38 GESS Dolphins took part in the second Sprint League event at Dulwich College last Wednesday. It was a fun team event and our swimmers did very well in all the relays. 4th place for Team GESS!